Noreen "Ish" (Brenner) McBride asked me to pass this on to those on my several mail lists who knew her sister, Bev, who was also the former wife of Larry Muschiatti. 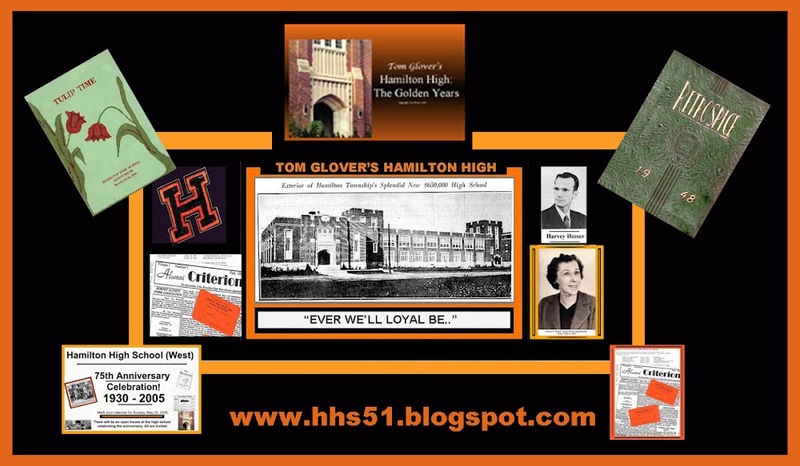 Bev was in the HHS55 class. Beverly (Brenner) Muschiatti, age 71, of Bear, DE passed away peacefully at her home on Thursday, February 19, 2009 surrounded by her family. Born in Trenton, NJ, Ms. Muschiatti was the daughter of the late Fred and Iva (Collins) Brenner. For over 20 years, she worked for Delaware Importers, retiring in 2005. She was the first woman president of the Newark National Little League in 1977 and the Football Director of the NCC New Castle Bulldogs and Glasgow Dragons for the NCCFL. She also coached cheerleading for Capitol Trail Junior Football and taught ceramics. She enjoyed garage sales and flea markets and was a proud supporter of the Delaware Stars Cheerleaders. Ms. Muschiatti will be dearly missed by her sons, Jeffrey of Sherwood, OR, David of Wilmington and Michael of Newark; her daughter and son-in-law, Debi and Kurt Bartell of Bear; three grandchildren, Ashley, Kelly and Makayla; her brother and sister-in-law, Robert and Doris Brenner of California; and her sisters, Joyce Berrien of Lakehurst, NJ and Noreen McBride of Trenton, NJ. Family and friends are invited to visitation on Tuesday, February 24 between 6-7 pm at Mealey Funeral Home, Limestone and Milltown Roads, Wilmington, with a memorial service beginning at 7 pm. Interment will be private. In lieu of flowers, the family suggests contributions to the Delaware Breast Cancer Coalition, 111 W. 11th St. #3, Wilmington, DE 19801.